The GC-BL2 is designed for use with the Global Caché GC-100 Network Adapters to transmit IR signals across a room up to 40 feet. 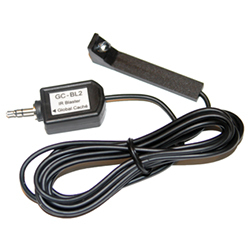 The GC-BL2 is designed for use with the Global Caché GC-100 to transmit IR signals up to 40 feet. frequency range of 30 – 500 kHz. Standard 3.5mm stereo plug and 6 foot cable. 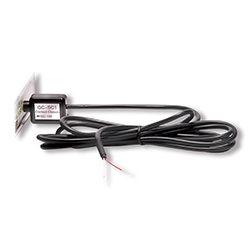 No power supply or connecting block required.